Wyatt was born in December, 2017. 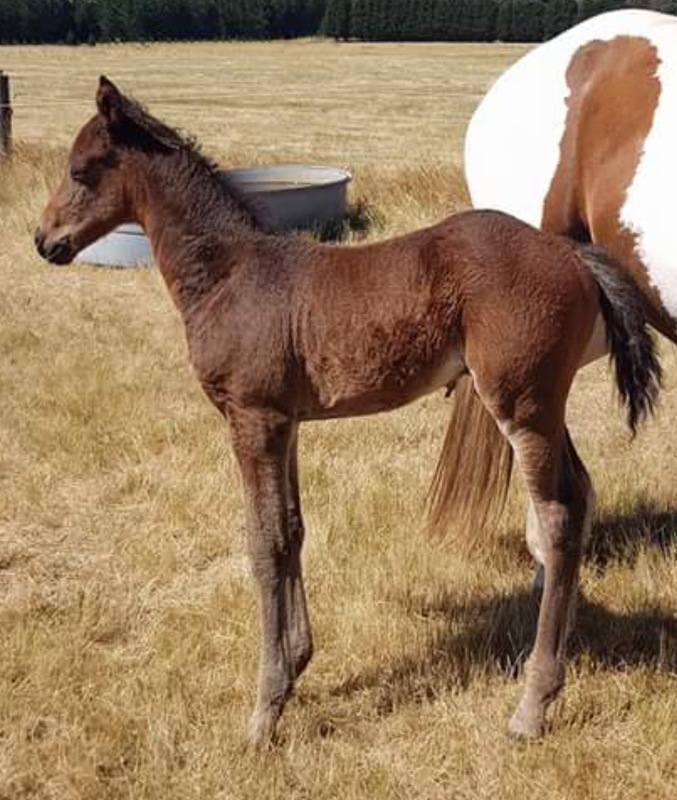 He is a beautiful bay colt with a gorgeous sweet personality. He will mature 15hh++. Wyatt is 1/4 Curly, 1/4 Waler, 1/4 Paint, 1/4 TB. He has beautiful curls.